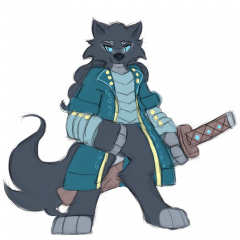 I think the last drawing of Hogo-sha I did, made him look a bit too... thin. So I gave him a bit more bulk! Look, kid... If you're going to illustrate yourself flipping us off, at least have the common courtesy to make it realistic. The last drawing of Toboe I did was kinda stiff looking in my opinion. So, I did this! I think it has some more life and character to it. The black griffon took a quick gander outside. Let's see. There was snow. Snow. Snow and also snow. Snow on hills. Snow on mountains. Even snow on more snow. This was more than enough snow to see, so she returned to her seat and drawing pad. "Well, I guess we'll find out. ", the griffon kept her eyes on her pad as she spoke, "I hope to check out the impressive, ancient griffon statues they have through the 'empire' and then maybe learn why they are there. ", she added, "Did the Crystal Empire start out as an griffon territory, or if they were integrated into pony society? Also, if they have anything to do with a small griffon settlement nearby....Heard they all lived in this rather tall watchtower and were tasked to watch for the return of the Crystal Kingdom. So I'm guessing probably, but it will be fun to do a little bit of art appreciation combined with solving a mystery and then later taking a flight of Crystal beverages....Crystal Wine....Crystal Cider...Crystal Brandy....and so forth.." She would still need to make time for the race. Zelda was ready for the cold weather! Not only did she pack for such weather, she wore a heavy jacket with matching pants, boots and gloves. Since it interfered with her sketching, the black bird had taken off the gloves and had put them aside. She also kept an hat and beak-warmer in her carry-on bag. Hopefully it wouldn't get -that- cold, but a gal needed to be prepared. She looked up at Daze, "You just need to think more positive...I see you starting off slow...Like any wise racer....You build up your strength and them woosh! ", she raised her hands up, "You zoom past your tired competitors and win the trophy...Or medal....And even end up on Cap’n Sucrose Cereal Boxes. Like my dad said, to be a winner, you gotta think like an....wagh! ", she let out a squawk as their cabin started to violently shake. A few items from the overhead compartments started to spill onto the floor. "Maybe it wasn't always the coldest part? I don't know much about Crystal Empire history, I bet very few do outside the city itself. Maybe they were travelling by and something there made them stop and settle? I don't know why they would travel there in the first place but there are a lot of unknown variables," She mused mostly to herself. Everyone had different motivations for doing stuff that could be considered idiotic to others. "I live in Ponyville so I've had my fair share of crazy stuff happen around me. A little cold exposure in the city won't harm me too much. Of course, this is all assuming that the Heart is taken down while we're there. It seems pretty reliable so far." "Fiver huh? Where did they get that from?" A peculiar name it was. Five of what? Must be some sort of translation. "Is that a kind of translation?" she asked Fiver. She turned towards Golden Daze. "I don't know how special being from Appleloosa is supposed to be compared to Cloudsdale. I only spent like, a year or two there, I don't really remember before moving away. Outside of agriculture, there isn't really much else you can do there," She explained. "Oh it was really not that hard to tell. Maybe if I didn't know about the race, but luckily I've got my sources so I've got it all figured out." She just stared towards Golden Daze for a moment, it was clear the pegasus was actually affected by her weird statement. "They're just sides really." There was no indication of whether or not she was being serious or not in this instance. "Although maybe the right side might be better." "Hah, I would have thought you flying folk would enjoy being thrown up into the air the most. In the event that you don't, then maybe you can submit a very angry complaint?" She suggested. The train was kind of bumpy but it didn't phase her that much at that moment, if she really needed to she could focus on the ground and use her inner magic to keep her somewhat locked. "Yeah, most likely the old tracks. I don't think these tracks get as much maintenance as the other tracks. They probably just get enough to be up to standards. Let's just hope they are. I'm not particularly in the mood for anything going wrong." Oh speak of the devil. She heard the sounds of metal and it didn't sound particularly good to her. "Hey, um, I'm not sure if you guys hear it, but I think there's some sort of disturbance inside the train or something." Daze listened at Fiver spoke, nodding her head to confirm her listening. "I'm like, non stop flying twenty-four seven, so I'm always in shape." The bandaged Pegasus smiled boldly, looking at the others as they introduced themselves and who they are. It was nice to get to know every creature, since they were going to have to stay on a train forever together. It would be odd for them to just sit there and say nothing, being strangers until the train ride was done. Daze opened her mouth to speak, "Well, it's very nice meeting you all," she started, as she shifted more comfortably to talk again. "I'm nothing special like a blacksmith or from some place like Appleloosa, I literally just grew up in Cloudsdale to become a fast flier. I'm going to be in the race in the Crystal Empire, if you didn't know that already." The Pegasus cocked her head to the side when Loose went on about a good or bad side. "Uh, so then every side is your bad side, which means your good side is your bad side, which also means you have no good side?" She shook her head, confusing herself. "Anyway," she turned to the griffon, "Just make me look good." Daze then gave her famous smirk to Zelda. Loose said something about the cold surrounding them, and how the Crystal Empire was protected from the freezing temperatures. "Yeah, I know. You just never know what can happen. Maybe we get there and the empire is just cold from all the.. crystals and stuff. Or maybe it's under attack and the princess can't hold up the force field. Or maybe the hotel I'm stayin' at is freezing and their heating system broke." Daze was really overthinking everything, like always. "But, I see your point." The mare listened as the others talked about trains, which kind of bored Daze. This wasn't the type of stuff she normally liked to listen to. It wasn't very interesting to her, because this wasn't her type of stuff to think about. Daze grew up in a small community of fliers like herself, who generally weren't all keen on how to make trains less bumpy. The other Pegasus seemed interested in it though, which made Daze listen a little more. She just found Fiver kind of cool. Talking about the bumpy-ness of the train caught Daze's attention more, because of how bumpy this train was. Every so often there would be a thump big enough to bump the gold pony up. One was so big, it made her launch up into the air. She caught herself as she almost hit the top of the cabin. "Okay, I really hope they figure out how to make train rides more smoother. 'Cause for Celestia's stake, it would be nice to not be thrown into the air." Her ears then twitched at the sound of two metal objects clinking together, but she was focused on trying to calm down from the sudden lift. With the training finally getting its start, Fiver relaxed a bit. She looked back to the Daze and smiled, "Well thanks. I try to keep myself in shape but for me I've done all I can so... I'll be sitting this one out and watching from the sidelines. " Fiver always liked seeing new athletes enter the scene, not just fliers but runners or even swimmers. Some might say she was too old be feeling so nostalgic, and maybe they were right. Still, she was content for the most part and willing to cheer on anyone with a dream to improve themselves. When Golden Daze spoke up her name, Fiver quickly answered with her own. "Khamsa Alriah. My friends call me 'Fiver'." The musings of Zelda brought another smile to Fiver's muzzle. A chance to relax and not worry about what was left behind was exactly what she'd been hoping for. Shame it was only to last as long as this ride. "It's a pleasure to meet you, Zelda. I'm a ... stunt flier more or less. Been a part of a good team for a while, but I'm thinking about exploring other options in time. I'm on my own little vacation for the same reasons as you are." Loose cannon sounded much more knowledgeable about the nature of governments than Fiver did. Just hearing words like principality took the Pegasus back to the days of schooling with her mother back in Saddle arabia. Scholars could be such a boar, strange neither her nor her brother took to knowledge in the same way her parent had. "Frankly I stopped thinking about how Equestria's government is run a long time ago. It seems as though things will be as they will be regardless of what I or others do." "As far as I know, It's just a single city, doesn't feel like much of a kingdom either. Maybe a Principality?" she mused towards the calm pegasus. "That's the word right? 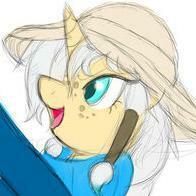 I don't know much of the independence of the Crystal Empire after its return." Her education from her mother was both a blessing and a curse. She knew more than she wanted to and it meant that the stuff she didn't know kind of hurt sometimes. She could totally become a scholar, but that wouldn't be very fun now would it? "The frozen North can be cold, but the Crystal Empire itself is shielded from its effects. Unless you're flying outside of the boundaries, then you won't have to worry about freezing yourself," she explained to the totally overprepared pegasus. "Unless you mean on the way there, in which I trust the heating of this train to stop us from freezing." "Yeah sure, it kind of is good to meet new people, but If I got back home and my house was on fire, I'd be very worried." There was only so much relaxing one could do before stuff would start to go wrong. "I hear that some get their kicks from just riding trains, like the destination is just a bonus to their trip, it's all about the special trains that they put out sometimes. Never ridden one of those before, just the regular ol' trains." When the train started moving, she thought for a moment. What if a train ride didn't feel like one, would that be a good thing or a bad thing. Impressive in the fact that they made it feel like a house, but then it didn't feel like a train so... "I heard some engineers are trying to make a really smooth train. You could basically live inside it all the time and just travel around. It sounds like it would be very expensive to produce and maintain though." "My bad side is my every side, so, really there is no bad side. So make sure you get my good side, which is also my bad side." Hah, let them try and process that. She tried to look serious about her request, but she really didn't care. She just talked a lot to fill the void in the silence. "My name is Loose Cannon, formally of Appleloosa, now Ponyville," She mused at the thought of titles. It was weird, especially hearing one from a Griffon. Was it a title, or was it just context? "That might be what it says on my birth certificate." Knowing her, someone might actually miss the joke and actually believe her. She didn't want to explain anything. 'The Annual Regionals Meet' was plastered across the arena in Cantorlot, the clouded track being set comfortably on the ground for any pony or creature to watch. Only sixteen pegasi were hoof picked to go and race in this meet, for the next meet was for districts. Only half could move on though, as districts required only eight ponies to qualify. The weather was nice and sunny outside, complimenting the spring trees whom had just bloomed outside the stadium. The warm air had caused a large crowd to form on the bleachers, since most didn't like sitting in the rain. A large crowd meant more money was coming through, just from betting alone. Of course the higher class ponies sat above all else, placing their own bets to attract the most attention. Within the stadium, were of course the sixteen racers. Golden Daze stood as one of the competitors, taking in the warm air into her lungs to relax her tense body. Her anxiety was off the roof. Though she's flown with a few of this pegasi already from her past meets, the idea of getting in the starting position, waiting for the flag to go down, made her nervous. Her dad believed she was made to do this, which kept her moving forward. All she had to do was place in the top eight and she could continue on with her season. It was only 250 laps, her main event. The event she trained the most for. It should be a piece of cake. The golden pony's uniform snuggled on her close, making her more comfortable. Though see all those creatures in the stands made her have a small mental breakdown, she was use to this. So, as the flag pony yelled, "To your marks!" Daze got herself situated in her lane, relaxing her entire body. The crowd fell silent, and all Daze could hear was her thoughts and the control of her breathing. "Set!" The mare's wings flung into the air, outstretching and ready for the first push into the air. The other 15 competitors followed suite, itching for the flag to fling down. Daze's ears twitched as she heard the slight shift of movement from the flag, causing her to launch into the air with a sudden burst of energy. Her wings were strong, and powerful, but so was everypony else's. Daze found herself in 5th place, and though she could easily settle for that placement, she wanted more. The 150th lap rolled around, and that's when Daze's wings kicked harder. Every flap counted to catching the next Pegasus up. She flew into 4th place, then 3rd, trailing behind two other ponies. Onto the 200th, she began to get tired, losing her momentum with the wind against her. She kept pushing though, slowly catching to 2nd place. 210th, 230th, 240th, ten more to go. Then, she past the 2nd place pony, putting her in that position. The race was over. The young Pegasus huffed, absolutely tired from her strong comeback. She looked up at the leaderboard, seeing her placement and time. "Not too shabby," she said out loud, looking at every pony else who just finished. She tiredly walked to the others, congratulating everypony who made it, and saying 'good job' to those who tried their best. She then went over to first place, smiling sweetly. "Nice job, kid," she said to them, then shook their wing. "See you at the next meet." The Pegasus smiled, just relieved the race was over. She always agreed to herself that before the race was the worst, during it is in the middle, and after is the best. The Pegasus didn't have to worry anymore. Her dad continuously told her to ice and stretch afterwards though, to prevent injuries. His voice was ringing in her head, the familiar sensation keeping her mind occupied. She got lost in her thoughts then, heading over to the locker room. She was sweaty and exhausted, and just wanted some water at this point. She was walking faster, at a trot, and as she closed her eyes to concentrate on her next actions. Soon, she found herself on the ground, landing hard on the concrete. All she knew was that she hit a big wall, a furry one, actually. A little taller than her. Daze was unfamiliar with the creature she just ran into, and she immediately felt bad for the collision. "Woah, hey, sorry, I didn't see 'ya there," she said with a hint of exhaustion. Hopefully the creature wasn't hurt from how hard the collision was..
"Yeah, yeah. I just want to make sure I'm good to go," Daze said to Fiver, rolling her eyes. "Flying a lot is better than not flying at all. I'm good at what I do." There was security in her voice, backed up with confidence and a hint of sass. Daze knew what she needed and didn't need, though she could be stubborn at times. Or all the time. "Cloudsdale is a pretty special place. I wasn't born up in the clouds, but I grew up at that flight school up there. I never really walked on 'em unless I had to. I was always floatin' up in the sky." The Pegasus nodded at her words, turning around to look up at the clouds. Daze always had this thought in her head, like she wasn't made to be down to earth. It seemed her head was always up in the clouds, so to speak. The mare was always on about something, could be small or large. Her mind was generally on something else, even in a serious conversation. Sometimes she just needed time to think by herself. Some time went by when every pony was talking, to a point where they were in the middle of a snow storm. Fields and fields of snow were stretched miles upon miles across the ground. Daze couldn't spot a single tree, just hills of snow. She knew it had to be freezing outside, if so much snow was sticking to the ground. More snow was coming down hard. The snowflakes seemed as big as her snout, leaching onto whatever surface they touched first. Daze got a little chill down her back, just thinking about being outside and freezing to death. There definitely couldn't be any life living out there. No food could be seen from where the golden Pegasus was at. All that could explain the bumpy tracks. Probably because these tracks barely got rolled over. That's when Daze got flung into the air and caught herself. "Haha, very funny. I'll have you know, I don't like surprise leaps into the air without my control," she said to the earth pony, crossing her forearms as she floated in the air. She then looked at the griffon. "There's a lot of competitors goin' there. I'm not too special. Probably not gonna place too well anyway." The clinking sound was getting worse by the minute, growing Daze's curiosity. "I'm glad I'm not the only one hearing that. It's kinda buggin' me." She flew to a window, trying to figure out where the sound was coming from. It was definitely outside. "I'm totally up for some investigation, but I'm scared to go outside." Her head pointed towards the window on the outside, as the noise was coming from ahead. "Maybe a latch is messed up or something. I seriously don't know much about trains." The mare scratched the back of her head, shrugging. "I love the enthusiasm, Daze." Spoke fiver, "But you should be careful with training and flying twenty four seven... over-training can be a real worry even to the best of athletes. Can hurt your muscles long-term... even hurt your motivation." Fiver knew all too well the dangers of over-training, having been through many of those herself in her youth. Some times she had to wonder if all the work she'd done might have contributed to her own peak she'd been feeling recently. Brushing such dour topics out of her mind she picked up on Daze' mention of Cloudsdale, "I'd say Cloudsdale is a pretty special place, not everypony or even every-creature can even walk there... I had a lot of trouble learning to walk on cloud when I first visited the place..." Loose Cannon got her attention not long after, "Actually yes! A nod to my name and a flight trick that got me enough attention to join the team I was on. My name 'Khamsa' means five in Saddle arabian." That aerial trick she mentioned earlier was part of what inspired the nickname too, but in Fiver's mind it wasn't nearly as important now. ... especially after that weird clicking sound. At first she was going to get up from her seat but then noticed something odd bout the window: The scenery. There were some mountains that they were in the process of passing by, including some rocks and other arctic imagery... but after that clicking sound things seemed to be getting slower. "Something... seems off." She said as she stood herself up, "Anyone up for some investigation?" The mare was finished arguing with her beloved. At least for now, she simply gave him a quick kiss on the snout. She hoped while E.P.IC. might be shrinking, they would still be ready to provide help for the forces of good when needed. There were were far worse things out there than the foes her former team frequently faced. Evil lords who could turn friends into foes. An wild beast disguised in a cloak of gentleness. And a dark matron that had lost it all, and thus did not have anything to lose. These were the foes Fire and the Twilight Guard looked out for. Thankfully they did not just rely on her own numbers to do so.. Once she found herself in the kitchen, Fire Walker poured a glass of fresh orange juice for Rose. Maybe she should have asked the unicorn if she wanted a little vodka in her jice to make it into a Screwball. And Pinkie’s drink? Curious to see what it was, the mare sniffed at the pitcher. There was no real smell..After taking a small glass of her own, she tried the drink. HOLY MOLEY! It was leftover party-punch and sweet Celestia did she put in the sugar! Before she could find out what the others wanted, Pathfinder quickly made her way into the kitchen and snatched up some drinks. Knowing the disaster that would befall Equestria if the bouncy mare ingested the sugar-infused beverage, the Captain quickly emptied out the party punch into an nearby sink. Whew! The world would continue to be safe, at least for another day or so. After snatching up a bottle of her favorite soda. She placed the bottle upon a wheeled serving tray along with orange juice for Swift, and the rest of the pitcher of water for the others. She was here for support, and to make sure none of the cute mares dared to put their hooves on her stallion. Best soda in all of Equestria! Rose was a strong pony and it was a shame she didn't have as much fun with adventures as Pathfinder did. She had all the good qualities to start with, too/ Oh well. Lives were long. She could only hope that someday Rose could be saved and find the adventure that was right for her. "Good to see you too, Rosey Posey. I'm always adventuring, no better way to live! Did you learn anything new about your magic with all that studying?" She asked, bopping her forelegs up and down as she continued to read. Her mouth was dry- "ya know Fire, I think I'll take some water!" She said as she flew over to a pitcher and poured one glass out. Then she found the juice and poured one out for Rose, flying it over to her before getting her close and assuming her reading position. Now all they needed was Swift getting to it. "Get to it, Swifty. We aren't getting any younger over here," Pathfinder said with a giggle, continuing to read while she waited for Swift Squall to get down to brass tacks. He had a habit of leaving iff with pregnant pauses and waiting for everypony to breathlessly ask what nexy. Luckily he wasn't a salespony, he could get all sorts of ponies and other creatures to eat out of his hooves. For Pathfinder, she was happy to be reading the book and awaiting whatever new adventure was bubbling up within Swift Squall's overactive imagination. Always a good time to be had! Once I found someone's phone on the ground. It rang and I answered it, fully ready to assist the owner in getting it back. It was a man that said "Who the fck are you?!? Give me back my phone!" I hung up on him and threw it in the garbage. The unicorn looked to Pathfinder in her odd position on the table. She tilted her head a bit to try and get a better look at the cover and title while she responded, "Studying. I've been looking to further my knowledge of the magic I use. Are you still doing all those adventures? I only went on a couple and I got cursed after the second one..." She huffed through her nose in annoyance before smiling to Pathfinder and giving the slightest of smiles, "It's good to see you again. The rest of you as well." She bowed her head to Firewalker, "I'm almost scared to ask what might be int pitcher... I would like some orange juice if it isn't any trouble." She said in her usual calm register as she approached the table and the rest of the group. Squall sure seemed different since the last time Rose was here. somehow the unicorn seemed more mature, did he get taller too? What he was talking about though was going a bit over Rose's head. Perhaps she'd come in a bit late in the conversation to truly get the grasp. "Um... I just got here so I'm not sure I have all the context." She slid her currently deactivated headphones down to hang off her neck, "What was your Epiphany, Mister Squall?" Yeah, I'd love to see an year skip....The CMCs are teens.....Pound Cake and Pumpkin Cake are kids..And the main characters..Along with their friends. Or I just want a certain artist to finish her comic strip! I'd love to see another city. We already had an itty bitty village. Why not set it in the city? "Traveling? Is great coincidence! Flying Brick has no roof to call her own, and scarcely ever shares that of others. Save when it rains, then sharing commences! On note, would be grateful for sharing over the night, as rain is imminent." Indeed, the sea breeze was already carrying clouds from the vast ocean where weather pegasi did not patrol. The mare's spirits remained undampened by the threatened weather, however, sweeping up her half of bits with one sweeping bow. "And there is nice cafe three blocks down which piles on the stroganoff like Mount Canterhorn! You are following, da?" The question was directed at Toboe and Nensho, who seemed inclined to stick around, even as the crowd had dispersed back into the chattering, scattering masses. Looking for an RP or two with these characters: Pocket Change. He's the adventuring sort. Decent at magic. Maybe avoid having him with Rarity as she probably still remembers the time he tried to hit on her. Bad Pocket! As per his job as a globetrotting archeologist, he could be anywhere. There is also Smolder. She's an cute little dragon girl. She would mostly work around Ponyville. But she could be taken to most major cities for whatever reasons. Please do not annoy her or she will breathe fire on you. And finally, there's Thrilly A Scrapperclaws. Along with having a silly name, she is a Abyssinian cat person. She is an traveler and could be anywhere. She is a friendly sort and wishes to learn of people and lands she has only glanced at. Nah. Zelda the griffon. Who is an blacksmith and artist. Mind you, it's her nickname. Griselda is her real name. And also Gilda's original name. And it also fits in the need if griffons all must have names that start with G. Which I don't think is a thing...I think..
As the others continued to work on their characters, Smolder ran through a list of spells. “Mmmmm.”, she found something that caught her eye, “Sounds nasty, but they have this grease spell. You can use it to make your enemies slip and drop their weapons and even set it on fire to cause even more damage. There’s also enlarge which I would use on Sir...Marcol?”, that was an odd name. “And make him even deadlier. Magic missile and color spray....” Ponies loved their rainbows...Now they could get one up the snout...”Wow....” The spell did all kinds of fun things to their foes. She would just need to make sure to keep away from danger! This was an elf unicorn! A feather could kill her! “The Marvelous Miss Majesty The Magical Mare went to magic school and just graduated, being first level and all..Being so puny, she needed lots of big ol’ meat shields to stand in front of her to take all the damage while she hurled all kinds of spells at her foes...." She glanced up at the odd-pony guy..A kirin....That would be something to play...A barbarian Kirin as their natural ability to rage and get all flamey would probably double the barbarian class rage ability itself. Double power. Flame-Ouches to those who stood near. Which would probably also fall on friends along with foes. Ugh. She better stick with what she had. "Of course she didn't come out as cool as me as there an't nothing as cool as me. ", she added with a wink. Smolder really wanted to say something when Silverstream mentioned the name of her character. Todd? Seriously? Not Bornwendir or Tho'uilas? Todd would be a better rogue name considering its foxy origins. "Don't worry kitty....My character is pretty balanced...She has great ranged spells and some support, but if anything pointy gets near my mage, she'll pop like a dirty bubble." This team would need to work together or they won't end up seeing the end of the module. "Bah. Double weapon are awesome...And you wouldn't be hanging around us during the battles, but ahead..Drawing attention from our foes..Taking the hits because you can while the rest of us throw spells and arrows and possibly a cat at said enemies..", she waved her claws about, "Zap...patoo...glam!" But maybe he was right, "Of course we might end up stuck in tight quarters like an dungeon or tight hallway..And a big weapon would be more of an hindrance..." She slowly cracked open a can of her ‘Hoot’n’Holler’n Jump'n Joy'Juice’ Citrus Type Soda(tm)' and took a sip. "Maybe you can have two weapons? Regular weapons for close battle and a bit one for away?" This might be an idea for the 'future' as starting characters got crap for bits. There was equipment she needed....Wizard robe...crappy dagger she'll never use. torch...saddlebags. Kibble for cat. Maybe a steed. Oh wait. This all made sense now. He was not a common Equestrian Diamond Dog. With the exception of poor Eutony, the upright standing dogs were better left at the kennel. He was an rather handsome fellow with well brushed fur and an stylish coat. Just hearing him speak, the pony knew this fellow was also well educated. "Yes, the university always takes its requests very seriously, and since school is currently out for the holidays, things have been rather slow. ", he did not feel the need to mention that his mare-friend, Moony had also been out of town for TWO DREADFUL WEEKS. Equestria had also been going through the longest period of harmony in recent years. Creatures from all walks of life were now considered allies of his kind. It was now common to see griffons, dragons, yaks and other races in his beloved city. Attending the schools. drinking at the pubs and being good sports and all. With friends like these at your side, who in their right mind would even think about invading or even causing trouble in Equestria? Hogo-Sha presented a book the unicorn was rather familiar with. An copy of an Lore of Equestria book. They made a zillion of these, from what laid below the sands of Las Pegasus to volumes on hidden lairs in Canterlot. "Of course, Everything from The Marentine Codex to the Ring of Destiny have been found...So if this isn't in the books, what do you seek? ", his eyes quickly fell upon an menu. There was a really good selection of teas here. What should he get? "I'm a skilled duelist and I have a roster of defensive, non-fatal spells at my disposal. So you won't need to worry about protecting me...Still as partners we will need to keep an eye on each other's backs." While he doubted they would run into any walking mummies or Daring Do villains, there were always vultures to deal with. Folk that watched others work hard for their discoveries, only to swoop in and try to rob the archaeologists when finished with their work. "I also have a good magical item detection spell, that I can adjust to fit the magical properties of what you're looking for, so we don't get alerted for common enchanted items." Pocket could only imagine what boring little whozits and whatzits that were enchanted by equally bored unicorn enchanters. Toothbrushes that glowed so its users could brush 'a' brush in the dark. Cloaks that played your very own 'theme song'. Still, the Diamond Dog had a magical talent? Was that even possible? "Also, have you ordered yet?" Pocket was a recent convert to the wonders of Abyssinia tea. He would need to get a cup of Pur'erh. He heard it tasted like pure mana! "Celestia, you're way more creative than me. Those names sound so awesome," she mare said as they walked to the stands. "I like the greed for speed one." 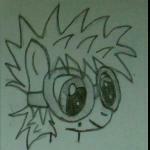 Now, Daze was always a pony up for some speed. The wind in her mane, the acceleration of her heart as she flew on forward, her wings whipping past the sky like scissors on paper. She was addicted. She'd fly forever if she could, if it was logical. Ever since she was a little 'ol foal, she would fly and fly and fly and.. her dad would get tired of keeping up with her. He knew when pegasi got their first taste of the air, Daze would never stop flying. But Daze's was more extreme. Even when the little thing was tired, she still buzz her wings to keep afloat. She never stopped 'till she hit 5 years old. That's just when her father hit practicing like a flying baseball. Everything was a training session, right after kindergarten. There was little to no breaks. Thrilly started talking about names, raising Daze's attention up by a million. What a strange idea. "I never thought of it like that. I don't really know the absolute true idea why my parents named me Daze, but y'know, whatever floats their boat." The golden Pegasus thought for a second. "Obviously the golden part comes from my eyes, maybe the 'Daze' part is from my speed that leaves ponies confused?" She shook her head. "I don't know." Thrilly added the circus stuff, and Daze smiled. "Dang, yeah. That would be absolutely terrifying. Heck no to that." Anyways, after the autograph, Thrilly said her good-byes. Did she really have to leave so soon? She kinda liked this cat. Daze didn't know how to get her to stay though. Lunch? Icecream? Could cats even have icecream? Weren't like lactose intolerant.. or something? That's what Daze has heard at least. "Hey!" the mare started to say, looking around to think of ideas. "These signings shouldn't take long, I could totally take you on a tour or something." She emphasized the 'totally' to get her point across with her raspy voice. "We could grab some grub too, like a sandwich or whatever." The mare signed some autographs in the process of talking, realizing not a lot of ponies were in her line, but in the first place's line. Figures. No pony notices the second place, they notice the pony who wins. Daze wasn't jealous, not at all. Daze doesn't get jealous.. totally not. The mare shook her head and rolled her eyes, then looked back at Thrilly. "Thrill, I have some bits if you don't have any for lunch, unless you wanna head to your hotel real quick and get some," she suggested, shrugging. "You totally don't have to though." Despite these unfamiliar paths, Toboe managed to keep pace with the group well enough. While she'd mostly been in a more managerial position back in the business home, she'd not neglected to keep herself in shape. If anyone back home heard the boss was getting sloppy she'd be tossed out in a heartbeat for sure. Once she arrived in the cafe she breathed a sigh of relief as the group narrowly beat the rainfall. Just as she got in she would smile at Nensho's suggestion, "That's actually not a bad idea. Ponies seem to be especially rowdy an enthusiastic whenever I keep the bar open late... maybe some of Ruby's music would be perfect." She looked over to Ruby, "Do you know much Neighponese or should I provide an interpreter?" Now that she had arrived at their table she took a seat and smiled over to Nensho, "We try and teach you sometime later but for now. let's eat!" She said as she lowered her eyes to the small menu on the table. The School of Friendship was unusually quiet this time of year. An active hub for young minds to explore the emotional bonds that underpinned the world around them. it usually echoed and rang sharply with the din of young voices laughing, chattering, and learning through joy what Twilight had been forced to understand under duress. She was happy to provide such a service. The School was working to provide a better future for not just Equestria but the entire world, and it was something that could only have been spawned by the revelations and work that she and her friends had endured and undertaken over the years. Soon it would be up to the next generation to bring the world ever closer to the ideals that she believed in. To be the Headmare at such an institution was perhaps her greatest source of pride- even more than her accomplishments as a Princess. That was why she was always willing to put in the extra work required to keep the School operating at peak efficiency. She was working on a restructuring of Applejack's Honesty Class due to the mare's extra busy schedule when she started to hear the panicked- no, determined- galloping of a stallion. Had to be. Sounded heavier than other options and nopony she knew to expect was supposed to be here. She finished writing for the moment and put the quill away, her face wearing an expectant smile as she looked at the door. She would rather be allowed to work in her spare time but if somepony needed help, that would always come first for her. Hopefully nothing serious. She didn't want to As if on cue, it opened. She was shocked by who it was...if only because she was sure he would normally wait for her at the Castle for the sense of importance of it. For all of her jokes, she liked Swift Squall. He was a good stallion and was always doing something he thought was best for Equestria. Made him an excellent member of EPIC and a truly great Equestrian citizen. He may sometimes be a little dramatic but at the end of the day everything he did helped Equestria. Not a pony she would ever ignore, even here. "Swift Squall! Happy to see you," she said as she trotted over and gave him a courtesy hug. A mug of cocoa was floating. "Want something to drink? Please, take a seat." Nensho hummed to himself quietly as he followed the rest of the group to the cafe, simply listening to what the others were saying. He offered a nod in agreement to Toboe’s question about food, but not much else. He was a little distracted by trying to figure out what else they could do around here once this impromptu group disbanded. Maybe they should visit a club, he was in the mood for more music like what Ruby was playing earlier. “Well, if you ever do end up going, maybe Toboe could get you a gig or two at her bar.” He chuckled, tuning back in during that part of the conversation. “Some live music could really liven up the place.” He added, giving Toboe a friendly nudge. The Pegasus kept a small distance from the cat, trying not to overwhelm her. She was probably in a lot of pain, judging her sudden winces and such as she stood up. The kitty seemed surprised at the idea of more events happening, which made Daze nod dramatically in return. "Ye-ah, there's a districts meet next week actually. Exactly a week from today, same place, same time. I'm sure you won't miss that one," she smiled at the creature. "Districts is even more important than silly regionals. Regionals is just a ticket into districts." Daze was pretty much a natural at this stuff by now. She qualified for many meets in her years, even at her really young age. She was racing with senior classes. Daze led the way into the locker rooms, the tangy smell of sweat and musk littered the halls. She was used to the smell by now, it didn't bother her much. She just felt bad for the custodians who had to disinfect the room. Poor guys. There were a few athletes at the lockers, choking down water or taking a quick shower. The heat from the showers smoked up the way to Daze's own locker, causing her to launch into the air and wave away the smoke with her wings. "Sorry about the lack of cleanliness in here, it's kinda gross." She then opened her locker and took off her uniform, then threw on her jacket and replaced her sweaty headband. The mare then turned back at Thrilly, seeing as she already made her way around with cleaning herself up. The cat introduced herself, making Daze shoot a reply, "I'm Golden Daze, but just call me Daze." She took the wrap off her hooves and rewrapped them so they were more tight. She was shocked at what Thrilly did for a living. "Really? That's kinda awesome. Never thought a wingless creature would be doin' tricks in the air. Kinda dangerous, huh?" She glanced at the cat with a sparkle in her eye. "I've always wanted to see a show as a kid. 'Was never allowed to. I always saw posters up on the walls though, or some article in the newspaper. My dad said he'd take me sometime, but his work got the better of him." The mare readjusted her jacket. "I'm an air sprinter, if you were curious enough to know. I just flew not too long ago." After the golden Pegasus was done, and made sure Thrilly was good to go, she headed out of the stinky locker room and into fresh air. At record time, an announcement was displayed: 'Autograph signings will begin in four minutes!' Daze then flew into the air, looking straight ahead at where the signings were taking place. She noticed all her fellow competitors were already there, getting ready at their tables. "C'mon, you can be my first to get an autograph," Daze stated, her generous nature boldly taking a place in her stature. The mare flew to her table, greeting her fellow athletes and then smiling at Thrilly. "C'mon now, don't be shy." The cat silently nodded her head while she tried her very best to wipe away the tears with her one, free hand. For such cute little creatures, Pegasus ponies sure hit like a ton of bricks! As she slowly made her way up, her eyes fell upon herself. There was a nasty bruise on her right knee. She could only image how many bumps she got on her backside. Ouch! If her mother was here, she probably would have broken out a potion of Iodine and poured it directly on her knee by now. How she hated that gunk! It usually hurt more than the bruise itself. "T-that's okay. ", the cat stammered as her knee made it perfectly clear that it did not like pressure being put upon it that it normally would handle. "Really? ", she gasped after the mare mentioned there would be other events. But would those events be the 'Annual Regionals'? Could she find an equal amount of excitement and wonder during those shows? What if they only provided her with thrills, spills and chills? She already saw plenty of that back at her circus. The sudden change of plans nearly caused the cat to tumble back, but she kept her balance. She needed to head over to the locker room? After a quick glance away from her own little problems, she realized her 'attacker' was probably one of the athletes! Well, that was one way to meet a racer. Thankfully it was just a light and fluffy mare. Some of those stallions looked like they could crash through a solid wall and keep going. The pair slowly made their way into a small building lined with lockers and the sound of showers in an adjoining room. And since ponies rarely wore clothing, this locker was coed. "I'm Thrilly by the way...", the young creature quickly scooped up the provided aid. A bit of bandage and a salve would work. "I'm a flying trapeze artist...An aerialist..." This probably did not impress an creature who could actually fly. After a quick dab of gunky lotion that smelled like bad yogurt onto her wounded knee, the fuzzy creature quickly wrapped the injured bits with the provided bandage. Since time was of an essence, Thrilly quickly finished up and was ready to move to the autograph session. She considered dropping her shorts and asking her host if there were any further bruises on her derrière, but that would probably be a little too much. Besides, they had hot tubs at the hotel. After testing her knee out, she was ready to move on! Daze felt stupid. Like really stupid. Yeah, she was tired from her long race, but she couldn't have the guts to at least watch where she walked? The Pegasus was kind of humiliated, and she honestly just wanted to hit the showers and move on with her afternoon. Maybe prepare for her next meet, which was even bigger. Daze's golden eyes were glazed with embarrassment. The mare didn't really know how to deal with this situation, even though she dealt with something like this with another pony. But this wasn't a pony. The last time she ran into somepony, she broke their snout. That was back in flight school, though. Now she was much more observant and careful of where she went. Except for now, for some reason. Daze was lost in her thoughts at this moment, and she didn't know what to say. She just stared at the poor cat, who was crying over something. Finally she opened her mouth to speak, "I'm really s-orry." There was a little crack in her voice, as she watched the kitty try and stand up. "Here, let me help," she commented, flying into the air and slowly helping the cat up. Daze flew back, looking around the other creature to check for any serious damage. The cat was crying over missing the show, the show Daze performed in. What an odd circumstance to be faced with. "Hey- y'know- there's more shows and stuff later on," the Pegasus mentioned, trying to make the other feel better in this weird situation. She felt awkward now, trying to think of how to help. She then noticed a bruise on the cat's knee, making Daze flinch. "That's a good one. Uh- Here, I'll go back to the locker room really fast and grab you a wrap." Daze then paused, thinking for a second. She couldn't leave the girl alone, especially after she knocked her onto the hard ground. Daze knew she was going to wake up with some bruises too. There was an announcement overhead, stating 'Come get your autographs and a picture with your favorite racer in ten minutes!' and Daze panicked. "Oh, Celestia, why?" She looked back at the creature who was still mildly upset, "C'mon now, change of plans, just follow me. Let's head to the locker room really fast to clean you up. I have some bandages in my bag. Then you can get some autographs, okay? Will that make you feel better?" Daze was trying to be sincere in her attempt to get the cat to smile. Daze took this time to really look at the cat. She's knew creatures like her lived off of Equestria, but she doesn't generally see a lot during her meets. She seemed shorter, nonetheless, kind of fragile yet strong. If that made sense. The kitty was wearing weird clothes, nothing Daze has ever seen. She couldn't judge though. She was wearing really tight clothing that generally wasn't seen in public. The cat was really fluffy, and she looked pretty soft. Daze kind of wanted to pet her little head. She was a weirdo in ways like that. Was that appropriate anyway? Is that acceptable? The bandaged mare snapped out of her trance, trying to hurry to get to the autographs in time. Despite the overall jovial nature of their conversation, Flying Brick couldn't help but click her tongue over Raven's concern about her equipment. "That is problem when you not by Stalliongrad-made! In my city, can send any table for swim in arctic ocean, and still will work! Plus, they spark and zap for most entertaining of light shows to go with the musics!" Brickie, it seemed, was clearly a mare with a strong, near-chauvinistic affection for her home town, though it was so over-the-top to be more funny than offensive. Hearing assent to going to the cafe, she shot back a grin to the two foreigners. "Hoping you are catching up! Hunger waits for nopony!" In truth, even if they had lost her, the walk was short enough for them to have found the cafe anyway. The quick pace would help them stay ahead of the pedestrians now looking for shelter in the rain. "Table for four, garkonski." I am sad to see you go...and, I guess , a little guilty as well (glances at all the unfinished RP's). I myself have my share of problems, being insanely reclusive and withdrawn - being afraid to hang on social media, public chat's etc. due to my paranoia. I can only assume that some people become so invested with their characters that they take any actions that put them in embarrassing or humiliating situations as a slight against themselves. I know I did when I was younger, Roleplaying on other sites, thinking my creations were a gift to other's so how dare they put misery on them. I will certainly miss your involvement Rex. It added so much needed spice in that overwhelming amount of slice-of-life threads towards which I have often a mixed feelings. And I admit, seeing your Discord's actions drive other characters into hair-pulling frustration was incredibly amusing. Squall will miss your Discord's too, and all those unpredictable challenges he threw at him ,that allowed the noblepony to keep himself sharp. So Godspeed Rex. I hope we meet out there, on other forum. And perhaps we actually finish a thread for once. Or maybe not. It's a journey that counts . We are currently experiencing an issue with proper display of Cutie Marks and the RP log image. Image display in profile fields has temporarily been disabled while we investigate. I want it to be Next Gen. Same universe, different set of main characters. Night Breeze had sat looking at the sunrise for some time when Cain finally awoke. Staring at life below, she reflected on the previous evening. To be honest with herself she very much liked having somepony to spend time with, and share all her memories with. A soft smile rose on her lips as she thought about it all. Pondering what today's events might bring. taking a moment to take in the morning light she noticed Cain trot over to her. Sitting sideways to him Night Breeze turned her head to great him. "Good morning sunshine." She said with a cheerful attitude, A soft smile on her face, glancing somewhat curiously at him as he seemed to be confused for a second. "Did you sleep well last night?" She inquired curiously. "I'm here as long as you want me to be, Dear." Night Breeze said getting up now. "To be honest, I just, I didn't want to leave you up here all night with all by your lonesome." She smiled as she thought about her words. Why was she being so different about this? Sure her job was to be kind and caring to other ponies, but why did it seem she was much more interested in helping and caring for him than any other pony? "I'm ready when ever you are." She smiled with a wink "Oh um, You don't have to." Night Breeze said with a bit of a blush. She was always shy about taking things from others, but her grumbling belly said otherwise. All tho she was a little interested when he mentioned that he did more than just candy. "Oh, of course. That sounds delicious!" The grey unicorn said now with a bit of enthusiasm. "So, what all do you know how to make?" She asked curiously as she waited. He was just getting better by the minute. Not only did he make candy, but knew how to cook as well. "Would you like any help?" Night asked after a moment, hating to make him do this for her without doing anything in return herself.